When Deion’s mother, Lisa Brown, was promoted to Poultry Plant Manager, Deion moved to the Internet Fulfillment Center (IFC), where all frozen products to be shipped are stored. Deion stated that at the time, IFC didn’t have lights and they had to use flashlights to find the products. He stated, “It’s real nice now that we have lights and can go right to a product.” “The online store has been the fastest growing department at White Oak Pastures for quite some time. We were excited to welcome several new upgrades like: mounted lights, shipping tables, new packing crates, and new freezer overalls and boots. The team has worked hard to get this department in the black, so spending some of it’s profits on new equipment has been nice!” said Director of Marketing, Jenni Harris. Deion’s proudest moment at White Oak Pastures is being chosen as Employee of the Month. What he likes most about his job is his supervisory position. 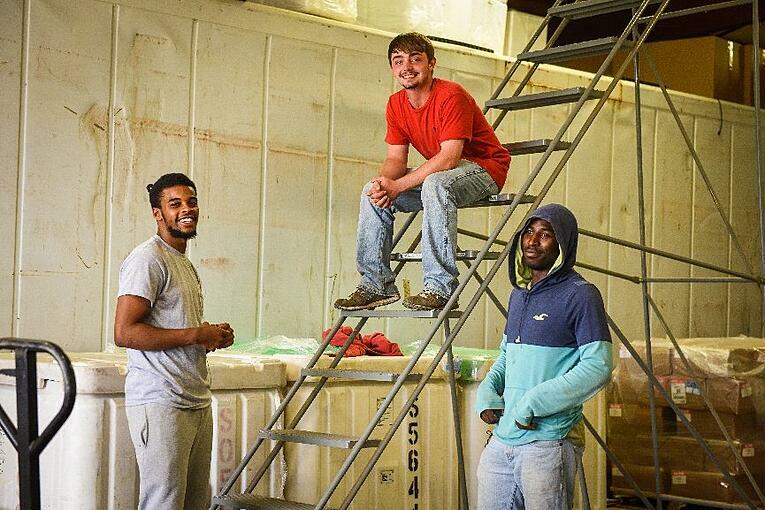 The IFC department has two employees- D’aundre and Aaron, a shipping manager- Bill Perryman, an Inventory Manager- Dan Hicks, and Deion is the IFC Supervisor. D’aundre picks the products and Aaron Busby packs them to be shipped in coolers by Bill Perryman. 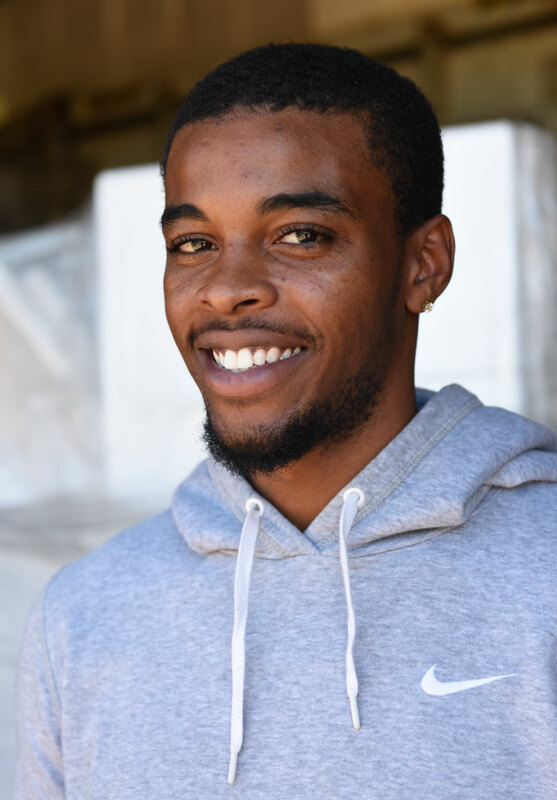 If Deion manages to get caught up with everything he needs to do, he can be found helping out at the poultry plant. His favorite aspect of the job is when he receives the product, gets everything out of the way and scans it. 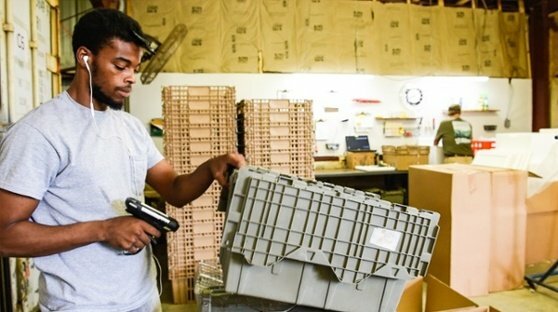 “That means I’ve got my part done.” Similar to his mother Lisa, who said, “When all the orders are done and I can go home, knowing my job is done, that is my favorite part of the job,” Deion stated, “If I did everything right, that’s great!” It seems he has inherited his mother’s outstanding work ethic! When asked to describe White Oak Pastures in one word, Deion said “efficient”! Deion eats in the Pavilion often and his favorite White Oak Pastures’ entre` is our quesadillas. “The burgers are pretty good, too!” he admits. When he worked at the poultry plant, he didn’t eat chicken for the first two months he was here. “I saw it all day, every day, and I didn’t want to go home and eat it”. When asked what he likes to cook, he said that his son wants him to cook hamburger helper! “When he wants all that other stuff, I send him to my Mama.” Deion has three children. His oldest son, De’zyrion, is four years old, started elementary school, and loves it! His daughter, Malayshia, is thirteen months old and his baby, Deion, Jr. is three months old. Deion said he’s been at White Oak Pastures for three years and this is his first interview…..and he likes it!